Do you hear scratching in the attic during the day? Chances are you may have squirrels in the attic. Inspection for squirrels is the first step in solving your squirrel problem. 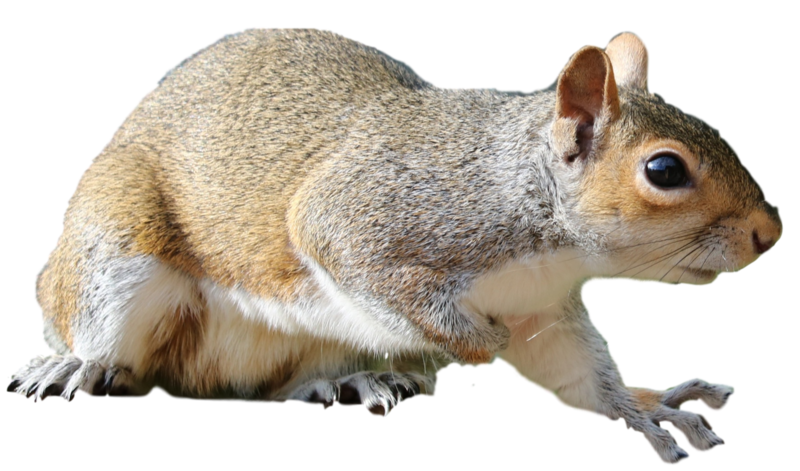 Squirrel exclusions is the process of installing traps in the attic, one way controllers, and repeater traps over the entry points. Repairing all potential entrances is the home is the most important part to a successful exclusion. 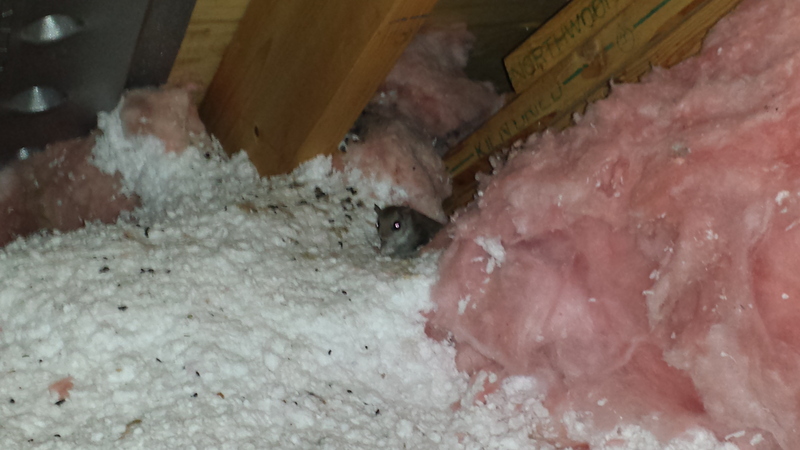 Squirrels can cause damage to your insulation and also become a health risk. Cleaning up contaminated insulation is done by an attic restoration process. This will solve your health risk and fix the structural damage to your insulation. Trapping and relocating is the one measure, but a live exclusion, or multi-catch traps are also very effective. We sometimes have to set multiple traps to remove the whole nest of squirrels. Red squirrels are the most common squirrel removed from the attic. If you find squirrels or chipmunks chewing on wood or weather strips on garage doors, some pepper spray on those areas works wonders. To keep squirrels off bird feeders we use metal flashing around the poles so they can't grip on. 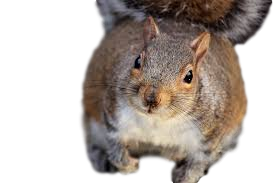 For more information on getting rid of squirrels out of the attic and removal techniques visit our squirrels in the attic page. Squirrels are generally trapped in a live trap during the day or in some cases at night. Once the squirrels are trapped and relocated we can make all the necessary repairs to prevent the return of squirrels. Another method we have used in the past is an exclusion method. For flying squirrels this works great. They are small enough to escape through our exclusion tubes, but can not figure how to get back into them. It's also very important to repair around the hole with strong hardware cloth or aluminum flashing to prevent the squirrels from chewing back in. DO NOT poison or use any other toxins to get rid of squirrels in the attic. This will not work! It will kill the squirrels, but then you will end up with dead decaying rodents in your walls and buried beneath your insulation. Dead animals will get you nothing but maggots, flies, and a foul odor. Not to mention it's very cruel to the animal. They a die slow painful death. Need Help With Squirrels? Contact Us Today!